Q - When should I order oil? A - Ordering when your tank is at or just under 1/4 tank is a good idea! This leaves you with 50-75 gallons of oil without fear of running out. 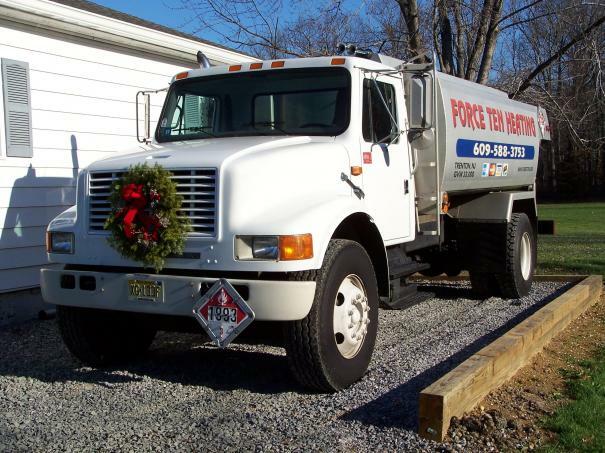 You will be able to take 150-200 gallon deliveries without a problem. A - Our minimum order for heating oil is 50 gallons. Anything under 150 gallons will be at a higher rate per gallon. Q – Can you bill me? A - For orders that are calling in, we are strictly COD meaning you have to pay for your oil at the time of delivery. A- You can pay us with cash, check, money order or any major credit card. Using a credit card or debit card will be slightly more expensive per gallon than using cash, check, or money orders. This helps us cover the fees that the credit card companies charge us to process your card. Q – Do you take energy assistance checks? A- Yes! Most energy checks are only good for 90 days. You need to get us that check before 85 days are due up from the date the check was issued. The last 5 days are needed to make sure the check clears the states bank. If you don't need a delivery but have a check, you can sign the back and mail it into us. Once we deposit it, that amount goes on to your account. Once it's in your account with us it will never expire. A – We schedule one day in advance. If you want oil on a Tuesday then you need to call us on Monday. Want oil on a Saturday then call us on Friday (before the office closes). 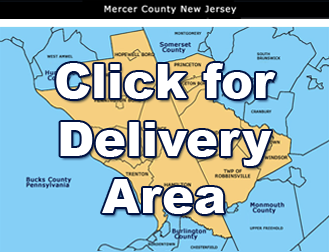 Calling us on Saturday will get you a Monday delivery. If there is a snowstorm or we have very high call volume then we can be backed up 2 days. Please plan accordingly. A - If you run out of oil we can sometimes do a same day delivery, but it makes it hard for the oil drivers to complete their delivery routes, and we discourage it. The drivers set their routes up in the morning according to the number of calls and amount of oil on their trucks. Adding to this causes them to not be able to get to all their stops on time. In the event you are out of oil and call early in the morning we may might able to get to you same day. Sometimes we can fit in extra deliveries in the day – sometimes we can't. This changes day to day depending on how many customers are already scheduled and how many gallons need to be delivered. You can ask us and see what we can do for you. Q- Do you offer any programs? A - We offer automatic delivery and budget contracts. On automatic you put a credit card or debit card on file with us and we will automatically keep your tank filled up. We charge your card the same price as cash on automatic. Budgets start in April each year and we break your oil bill down to monthly payments. You make 12 monthly payments to us and we automatically keep your tank filled. Great for people on a fixed income or budget. Q - What is the current price? A - Click here to view current oil prices. A - When you order oil from us today we load your oil into our trucks at today's standing price. So even if tomorrow the price goes up, we have you locked into the price we promised you. We never increase the price if we already promised it to you. Q – Why do prices keep changing? A - Heating oil prices can change from day to day and sometimes hour to hour without notice. So calling in one day for oil to check the prices does not guarantee the price for later on that week, if you don't order. Heating oil prices are directly related to the stock market and the terminals where we purchase the oil. Our price is fixed for the day as the market goes up and down. The oil terminals where we buy oil from watch the market and at 3-6pm each day adjust their selling price to us. If the market is up today 2-3 cents then Force Ten will see that change around 3-6pm from the terminals. Meaning if we load our trucks after that time period we are buying oil at the new higher price. The same goes true if the price is going down for the day. At the end of each day we evaluate what we are buying oil for and adjust our price. Most times if we have to pay 2-3 cents more then you have to pay that much more. If the price goes down then we adjust accordingly. The amount we make is pretty fixed as we pass on the changes to the customers. Q – Why do I see other fuels like gas going down or up, but heating oil doesn't follow? Q - Do I have to be home for a delivery? A - Customers can either be home to hand the driver cash, but most leave a check or money order for us either under a mat or in the mailbox so they don't have to wait for a delivery. Credit card orders are taken by the office receiving your credit card information over the phone, so you don't have to be home at the time of delivery. Q – When will my oil be delivered? A - Our delivery times are generally morning between 8am and 12 noon or afternoon between 12 noon and 5pm. If you're waiting for a delivery then you need to be home between those times for the drivers. Q – Can I request a specific time for a delivery? A - Each driver can be delivering between 40-50 houses each day, and it's almost impossible to know a more exact time of delivery with traffic on the roads and other conditions. We can try to work with you and at times deliver after a certain time (say after 2pm till 5pm) or we can call you 10-30 minutes before a driver gets there to meet him. If you left a payment for the driver or paid by credit card you don't need to be home for delivery. Q – What are your hours? A - We deliver all year round. 6 days a week in the winter time. The office is open Monday through Friday 8am-6pm, Saturday 8am-3pm We are closed on Sundays. In the summer time we are closed on the weekend but open all week long. If we are very busy the office will stay open while drivers are still on the road. Make sure that you are out of oil by measuring your tank or checking the gauge, and make sure your power switches for the heater are on. Use any supplemental electric or alternative fuel heat in a safe manner. Make sure that you have operational CO2 detectors and proper venting. Do not override any circuit breakers and avoid light extension cords to avoid risk of fire. Be sure to operate all sources of heat in accordance with manufacturer's directions. Keep all doors, windows, and other openings are securely closed to retain as much heat as possible. Do not assume that you actually out of oil. Your no-heat situation could be due to a mechanical problem. Check the tank, and if you have no oil call the office to place an order for delivery ASAP. Q - Can the driver start my heater after I ran out of oil? A - The drivers are able to restart your heater if you ran out of oil. There is no charge at the time of delivery once only. People that run out more often we will charge $30 after the first time to restart your heater. If you don't run out a lot then you don't have to worry about this fee. Starting up too many heaters each day takes time and puts the drivers behind schedule. Plus running out of oil isn't the best thing for your heater so please try your best to keep oil in the tank. Q - If I ran out of oil can I do anything to get the heat going? A - If you are out of oil, you can add diesel fuel to your heating oil tank until your heating oil delivery arrives. Diesel fuel can be purchased at many local gas stations. While these fuels are more expensive than heating oil, both will burn safely in your heating oil burner. Usually 5 or 10 gallons will last for a day or two, depending upon the temperature and the size of your home. This can get you by in an emergency until a delivery truck can get to you. A - No problem. The driver knows when a tank is filled. You only pay for the number of gallons you actually receive. If you aren't home and left us a payment, your account will have a credit for the amount of money left over. If you are home you can pay us the exact amount . If you paid by credit card we will adjust the amount to the gallons delivered. A - Normally this is because your tank could not hold all the gallons you ordered. All heating oil tanks have a "usable capacity" which is less than the actual capacity. For example, a 275 gallon tank has a usable capacity of about 256 gallons. The remaining space is required during the filling process to avoid accidental spills as well as allowing for expansion of the fuel as it warms. During the filling process, the driver listens to your "fill whistle alarm" which tells the driver when your tank is filled to its usable capacity. For safety and to avoid environmental contamination, your driver must stop pumping oil when the vent alarm indicates your tank to be full.